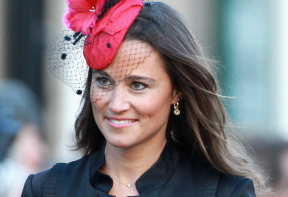 Home \ Talk Show News \ Who Will Land Pippa Middleton Interview? Television networks are going to extreme lengths to land an interview with the Duchess of Cambridge’s sister, Pippa Middleton. Middleton splashed onto the international scene in April 2011 when she served as the maid of honor to her sister, Kate, when she wed Prince William. Since then, she has been the subject of significant press attention for her style, love life, social life, and more. Middleton, who works for her parents’ business as the blog editor of a party planning website, was named one of Barbara Walters’ ‘Most Fascinating’ people of 2011. She also sealed a book deal worth more than $500,000 to author a book about party planning. With a big book deal comes a big network television interview. U.S. media heavyweights, including Walters and Oprah Winfrey, have reportedly offered six-figure sums to land Middleton’s first big interview. Oprah reportedly told her staff to “pull out all the stops.” NBC would like Today’s front man, Matt Lauer, to interview Middleton. Lauer covered the Royal Wedding live from London for NBC. He also interviewed Price William and Prince Harry in 2007 on the 10th anniversary of their mother’s death. The networks have also reportedly offered Middleton the opportunity to donate the large cash sum to charity, so it won’t appear as though she is “cashing in” on such a large sum of money. According to the Sunday Mirror, deals as big as $450,000 have been offered.